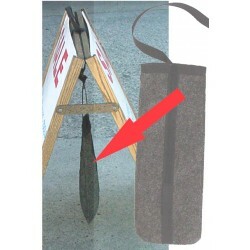 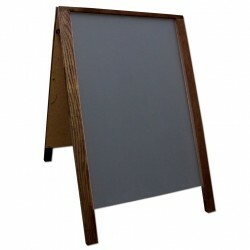 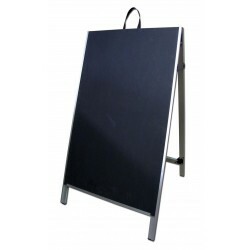 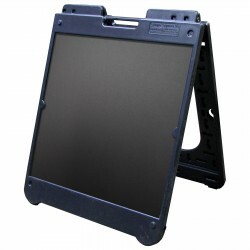 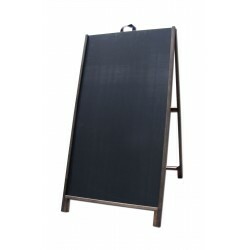 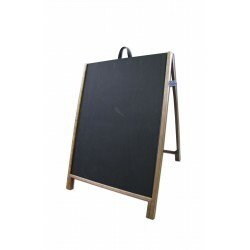 These Chalkboard Panels are made of a melamine (plastic) laminate backed on a high-density fiberboard. 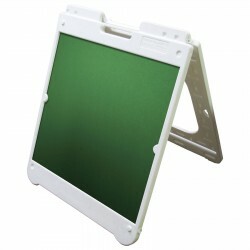 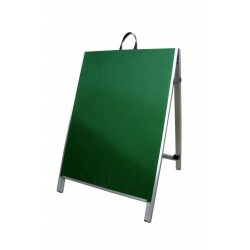 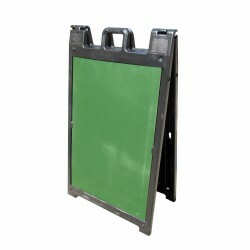 Available in either black or green these matt panels work with liquid chalk markers, our waterproof neon markers, or even traditional stick chalk. 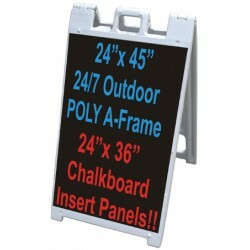 These inserts are easy to clean for a quick message change or can be used for long-term messages will still come clean with a cloth and cleaner. 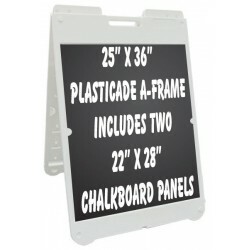 Check out the variety of A-frame bundles available featuring these panels to find the perfect one for you. 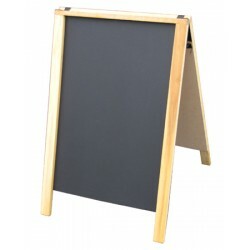 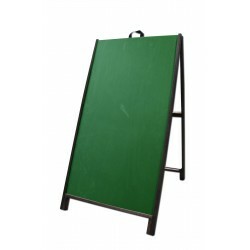 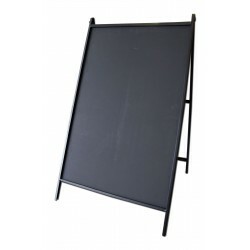 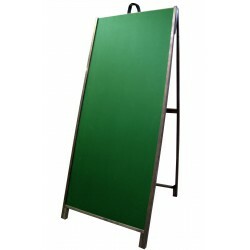 • Materials: White PVC, Chalkboard• Message Panel Color: Black• Finish: White PVC• Dimensions: 36 in..
• Materials: White PVC, Chalkboard• Message Panel Color: Green• Finish: White PVC• Dimensions: 36 in..
• Materials: White PVC, Chalkboard• Message Panel Color: Black• Finish: White PVC• Dimensions: ..
• Materials: White PVC, Chalkboard• Message Panel Color: Green• Finish: White PVC• Dimensions: ..
--All Plastic White Sign Frame--24 inch x 36 inch Chalkboard Panels included--Sign face can rec..